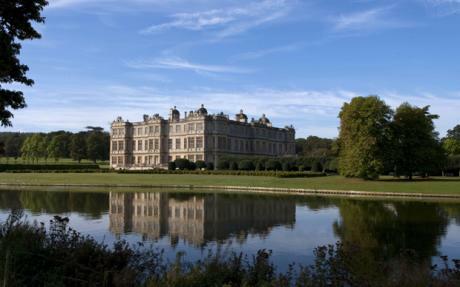 The Longleat Fishing & Country show is on this Friday and Saturday, and promises to be a great show for all the family. It will be a great opportunity to allow your kids a taste of fishing, with a special section dedicated to allowing kids to have a go. Some of the top names in fishing will be attending the show including Charles Jardine, Bob Nudd and TV’s Mr Crabtree John Bailey. I will also be there, giving demonstrations on lure fishing, on both hard and soft plastic lures. The techniques I will be showing will work for fresh and salt water species. Lure fishing has been around for long time, but over the past few years it has changed a lot. Modern materials have been utilised to create amazing lures that are so realistic. To work the modern lures, rod manufacturers have had to re-think their traditional spinning rod design, to allow much lighter and more responsive lures to be used. I will have a whole load of lures, rods and reels that I am happy to let people try out. I will have rods that suit all budgets from entry level all the way up to Century HPR. I will also have the new HTO Lure Game rods, that have just come into the country. Be one of the first to try them out. I think you will be blown away by them. They present great value for those looking to get into lure fishing seriously. If you have heard about LRF, and thought what is that all about then come and find me and I will give you a demonstration, on how to catch loads of different species on ultra light lures. It is not just all about fishing. I can’t wait to have a go at the Land Rover experience, where you can get the chance to drive a 4×4 off road. If you are worried that the family might get bored, then the show organisers have thought about that. There is the option of getting in to the Safari Park at a reduced rate, straight from the show. 2 Responses to "Longleat Fishing and Country show 14th & 15th June"
No unfortunately it is not.